Having an apartment and all the fittings at our disposal, we appreciated the ability to cook our own meals. However, our apartment’s original owner was clearly not much of a cook, and so her kitchen had but the bare essentials, which really made it best suited for breakfast and snacks. Tony’s stomach had been engaged in a war with China and its dubious hygiene practices pretty much from day one, so one day we made our way to a supermarket that sold something other than candy (harder than you would expect) and I put my ingenuity to the test, picking up ingredients to make this simple one-pot, one-pan pasta dish (these formed the entire collection of cooking vessels in the kitchen). 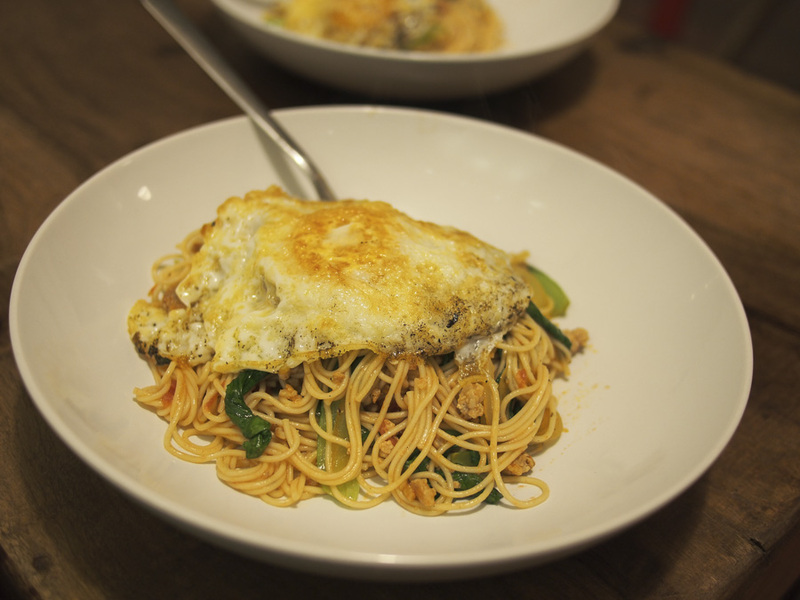 Minced pork was sautéed with onions, mushrooms, and some Chinese greens, before being mixed with a tin of crushed tomatoes and tossed with some pasta. The entire concoction was then liberally seasoned with some salt & pepper (the only seasoning to be found in the entire kitchen) and then topped with a fried egg. Not the fanciest meal, nor the most exciting, but one guaranteed not to get either of us sick! Shanghai has some dishes and styles of cooking that are specific to the city, which range from sumptuous high brow to simple and hearty. On our first night in the city, we wandered to a nearby hole-in-the-wall joint that came highly recommended in the local city guide. 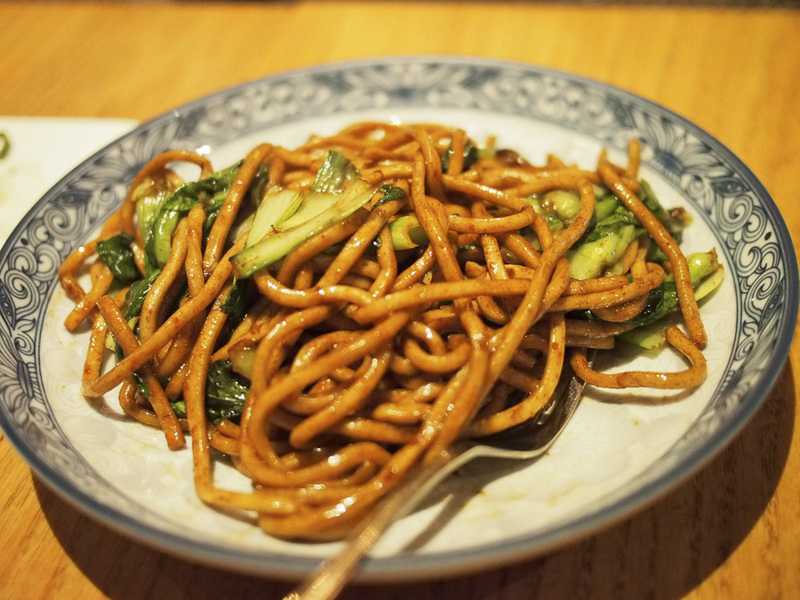 We arrived searching for springy noodles coated in a creamy sesame paste and swimming in a sinful and sizzling chili oil. Nothing we had read prepared us for the fact that this place only had a Chinese menu and no staff that spoke English, but our time in China had us prepared: we simply pointed at what some other diners were chowing down on and pantomimed we wanted the same. Not only did it amuse the waitstaff, but it also got the job done. 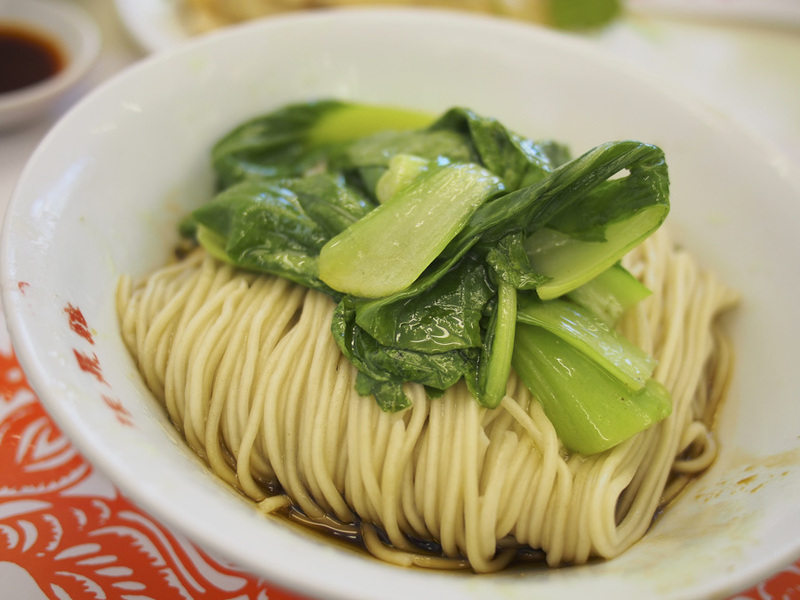 At just 16 RMB (~$3USD), this simple noodle dish stuck to our ribs without making a dent in our wallets and was a great introduction to the city’s vibrant cuisine. Another contender for cheapest nourishment was a visit to a much-lauded chicken joint. In the U.S., places that specialize in chicken are either going to prepare it barbequed or fried, but not the case here: this place was all about the POACHED chicken. Thankfully, poached chicken comes with this amazingly flavorful dipping sauce that is brimming with garlic, ginger and sesame, which go a long way to make this dish interesting. We also got this order of soy sauce noodles that were insanely tasty as well. This was one of those meals that seemed both exceedingly healthy and authentic, but it was also one of those things that I can’t ever imagine craving unless I had the flu. 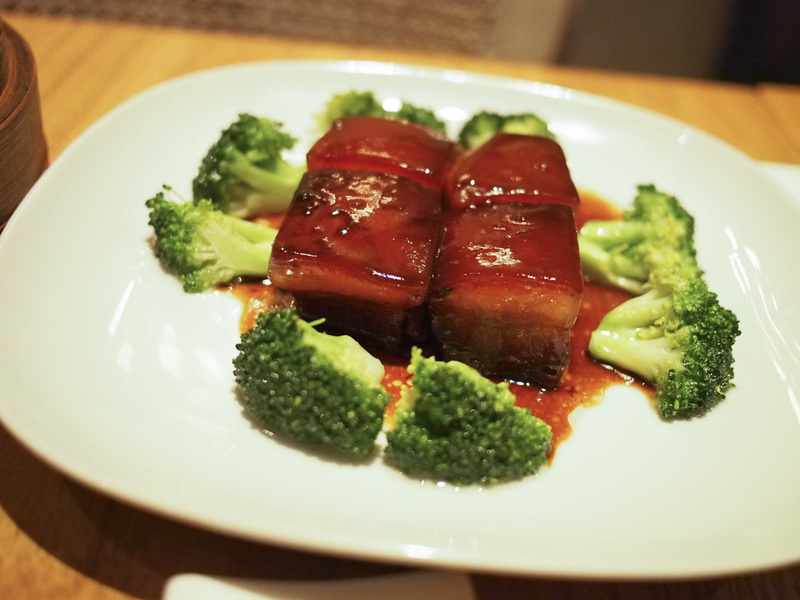 On the other end of the spectrum, we treated ourselves one evening to dinner at 1931, an old-school bistro just across the street from our apartment, that serves up classic Shanghainese favorites but with Parisian flair. The restaurant oozes a delightfully shabby chic ambience (we loved the functional gramophone that churned out 1930s French classics), and based on the décor alone, we felt transported not just to another country but another decade as well, which was in keeping with our “escape from China!” motif for the week. As for the food itself, it was unalloyed Chinese food: sautéed vegetables in an oyster sauce served alongside paper-thin pancakes, thick chewy egg noodles dressed in a sauce that was salty-yet-sweet, and braised pork belly that had been steeped in a sticky aromatic glaze, redolent with star anise, that was so unctuous and moreish, one artery-clogging cube felt like more than we could handle! This was one of our more expensive meals, not just in Shanghai, but in China in general (Peking duck not withstanding… ), but it was worth the splurge. Certainly not an every day indulgence (definitely not with that lethal pork belly dish! ), but sometimes you just want to stop worrying about finding the cheapest food and simply want to get gussied up and treat yourself to something nice. 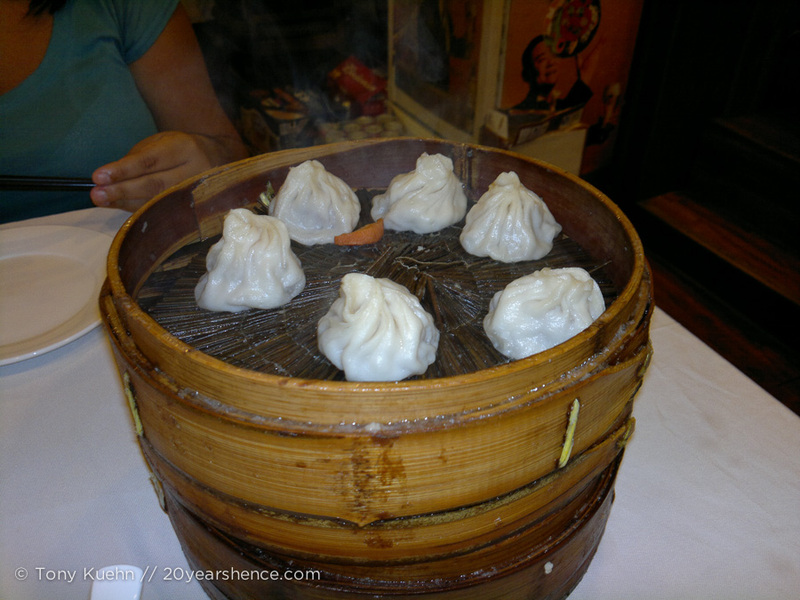 Even if you know very little about food, the one thing you should know is that xiao long baos (XLBs) are nearly synonymous with Shanghai. 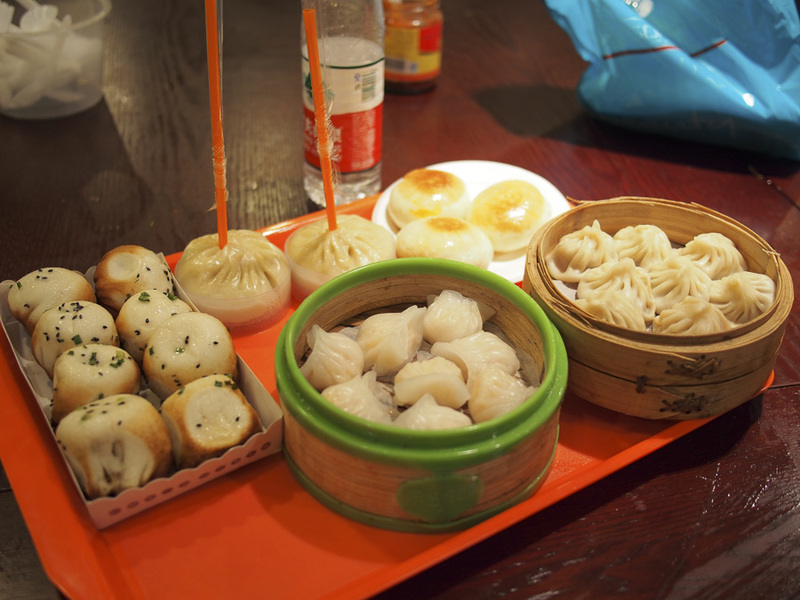 Legend has it that these little dumplings, famed for being filled with piping hot soup, were invented here, so no visit to the city would be complete without trying them at least once. Not satisfied with once, we had them twice! 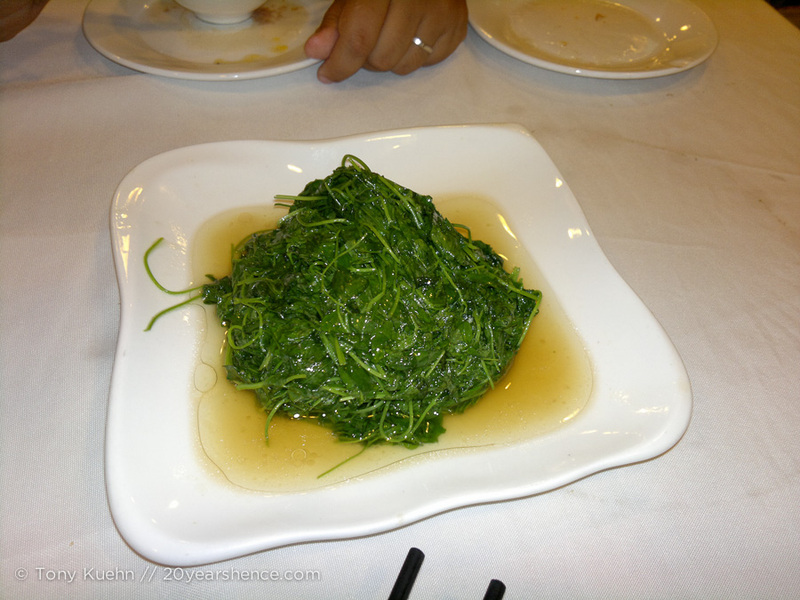 During our ill-fated trip to the historic area of the city, we took temporary refuge in a food emporium that was flogging sundry mysterious Chinese dishes, much in the style of dim sum. The variety on offer was overwhelming, and we picked up several small plates, featuring the usual suspects such as char siu bao, siu mai, har gao, and some fluffy yet crispy-bottomed buns sprinkled with sesame seeds that had fast become our favorites in China. But surely the dish we looked forward to most of all was the ginormous XLBs. 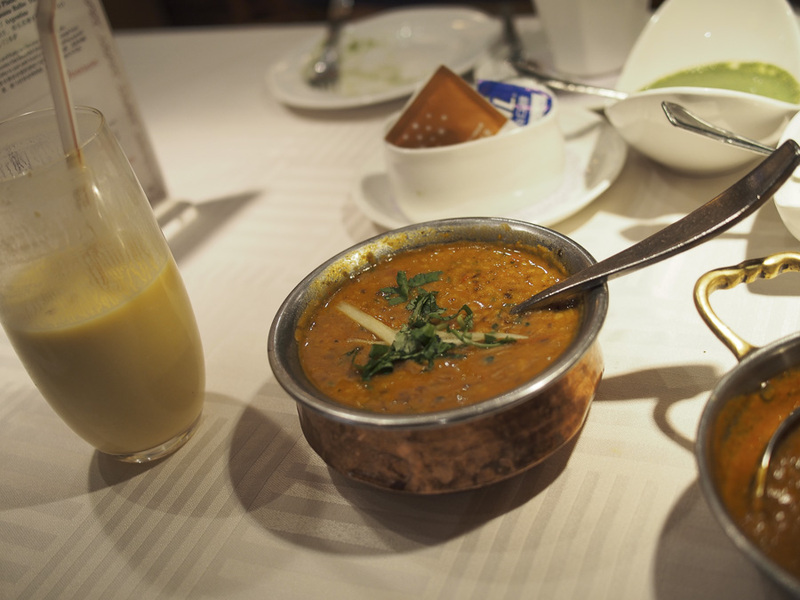 These babies were so big that they actually had straws inserted in them in order to get at all that luscious soup! Sure they were gimmicky, but how could we resist? Alas, we should have resisted, as these were just not all that great and despite their size, had very little soup in them at all. It turns out that half the deliciousness of XLBs lies in getting to pop them in your mouth and munch down on the dumpling after you’ve sucked out all the soup, something you definitely could not do with this variety. Refusing to be thwarted, we did some reconnaissance back at home and avidly researched the best XLB joints in town. Narrowing it down to the one that looked the most promising, we set out to try again. Clearly we weren’t the first hapless foreigners to wander in looking for XLBs, and thankfully she took mercy on us and flipped to the dessert section of the menu (really), and pointed to two items, telling us they were shrimp and pork. We ordered one of each, and also tentatively picked a random vegetable dish she suggested and some spring rolls. Barring the nasty tea drink pictured above that we gambled on (and lost… oh did we ever lose), the meal was an unqualified success. Though we looked enviously at the heaping plates of food that were being wheeled out to the tables around us while our offerings looked more like we had raided the appetizer section of the menu, everything was delicious, and the XLBs were the stars of the show. They were perfectly plump with impossibly thin skins wrapped around their savory contents. Each exploding mouthful was a delight and well worth the ordering ordeal that had necessitated them. The nice thing about finding ourselves in a bustling big city is that the food choices had a decidedly more international scope than some of the smaller cities we had been to. Consistent with our gameplan pretending that we weren’t actually in China, for the first time on this trip, we sought out cuisine that was anything but local. The food we have missed the most since leaving Nashville has definitely been Mexican. 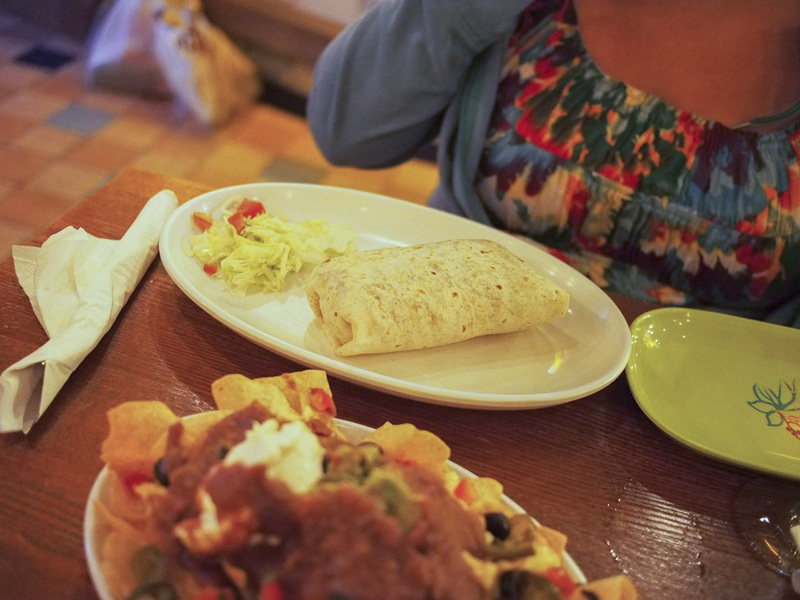 Although we never expected to cross paths with authentic Mexican food all the way over in Asia, at this point, even Tex Mex was sounding good to us. 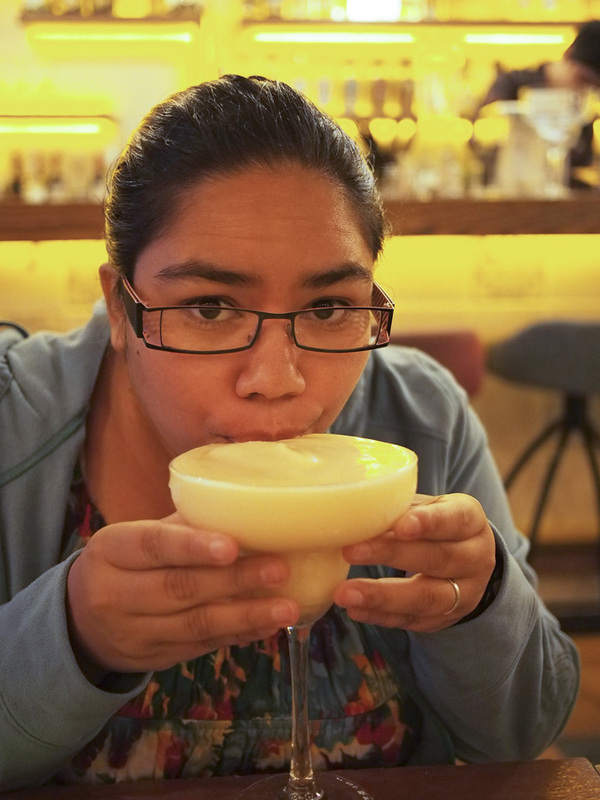 So one night, when Tony was feeling particularly unwell, I decided to surprise him by taking him to one of the well-reviewed Mexican restaurants in the French Concession area — after all, a healthy shot of tequila in the form of a Margarita is sure to cure whatever ails ya! This meal was definitely pricey, but seeing his eyes light up when he realized what he was in for was priceless! 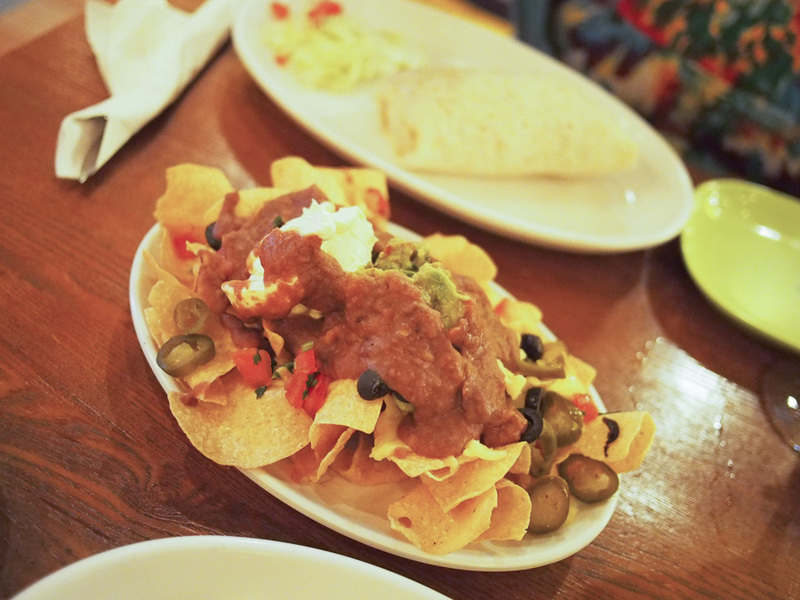 We had a real Mexican Feast-esta, starting off with an order of nachos, that weren’t half bad (only weird bit was the sour cream which definitely didn’t taste right), indulging in the Happy Hour all-you-can-eat salsa bar and 2-for-1 margs, and inhaling some burritos to cap it all off. The service here was atrocious, but I’m happy to say it was the only real failing of the meal. Sure you won’t find this stuff in Mexico proper, but it could pretty much hold its own with the Tex Mex joints that crop up all over the U.S.
Our one other ethnic eating craving that we addressed while in town was for Indian food. We loooove Indian food (so much so that we held the rehearsal dinner for our wedding at the Indian restaurant across the street from our apartment in Nashville), so we headed off to a fancy hotel known for its excellent Indian restaurant that offers a set lunch promising excellent value. It took us a while to find the restaurant as it is not marked from the street and we had to amble around the hotel’s grounds for a while (that should give you an idea of how big and posh this place was!) before we stumbled upon it. 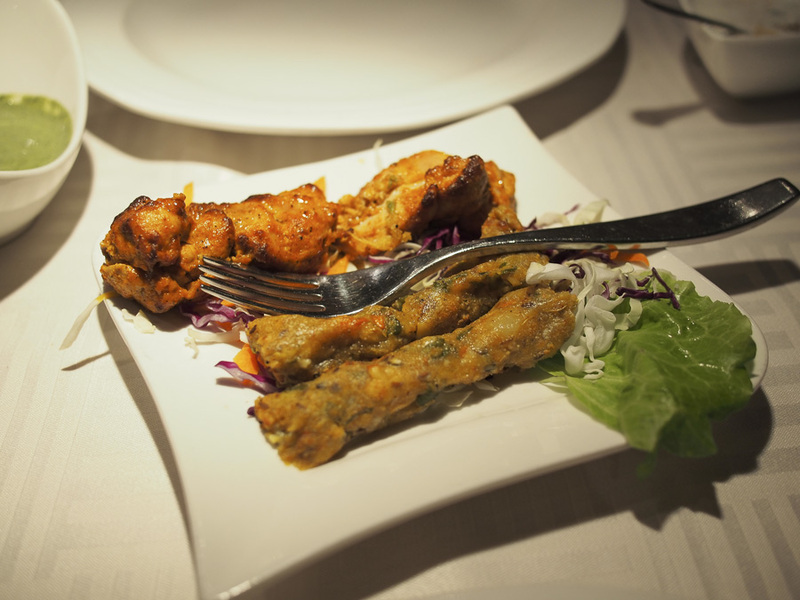 Unsurprisingly, the prices were quite steep, so we stuck with the set lunch, which involved salad, soup, chicken tandoori and lamb kebabs, saffron rice, sag paneer, lamb rogan josh, and chicken tikka masala. In short: it was a complete feast! Although everything was excellent, there was no way we could eat it all. Sadly, although we had a kitchen and could have actually made use of the leftovers, our request to take them away was refused for reasons that were unclear to me. This paired with the somewhat stuffy atmosphere and hoity toity attitude of the waitstaff was an unfortunate detraction from the otherwise joyfully flavorful meal. 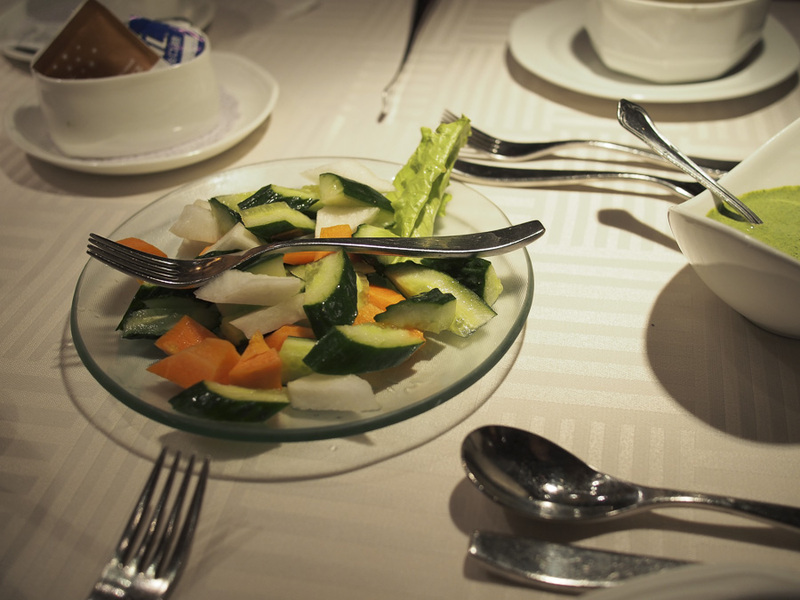 Happily, most of our meals in Shanghai were truly delightful. However, there were a few slip ups and mistakes made along the way! 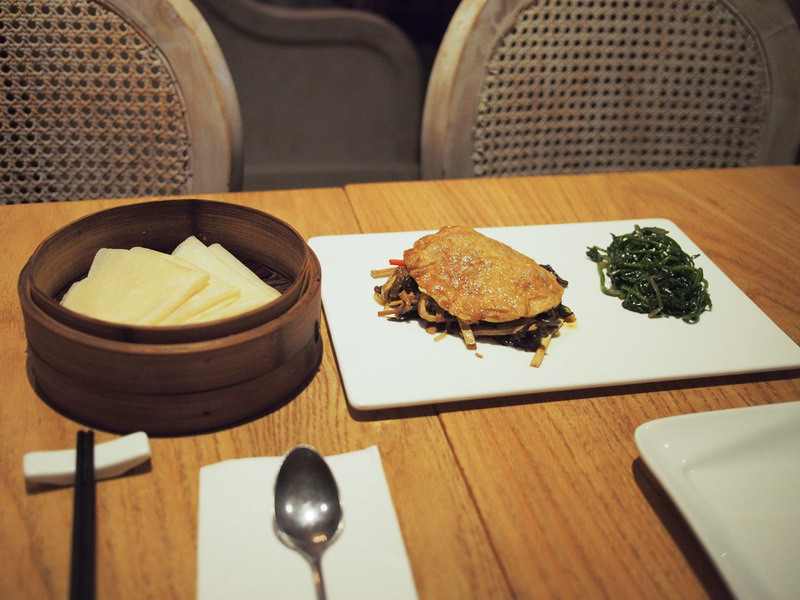 One night while wandering the streets of the French Concession in increasingly broader concentric circles, we finally stumbled upon a restaurant serving up wantons that looked quite popular but sufficiently off-the-beaten-path to intrigue us. We wandered in and were handed a menu to order off of that we were relieved to see had English on it. Unfortunately, when it came to trying to order some dumplings, we found that most of our choices were unavailable. In the end, we picked three rather boring varieties —pork, chicken, and mushroom— and decided to simply be happy we were getting any food at all. 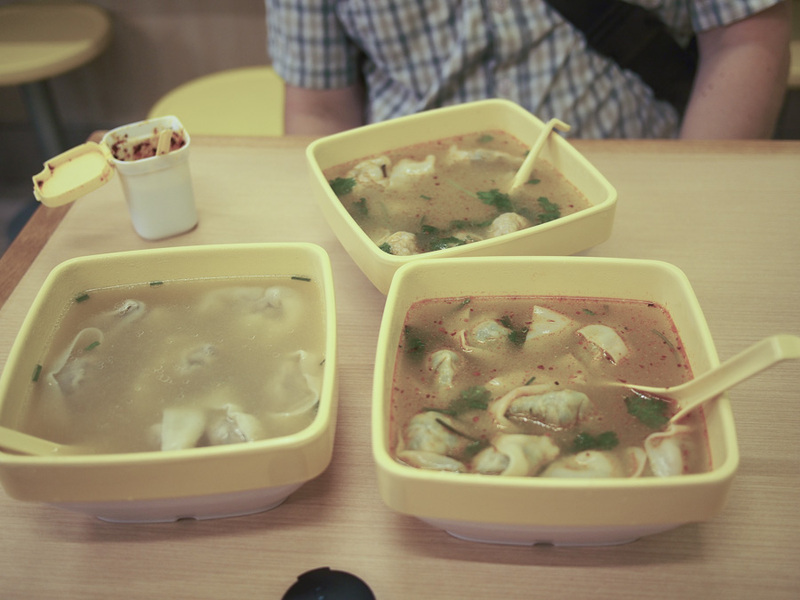 What we didn’t realize is that we were not actually getting bowls of dumplings, but were actually ordering bowls of soup! 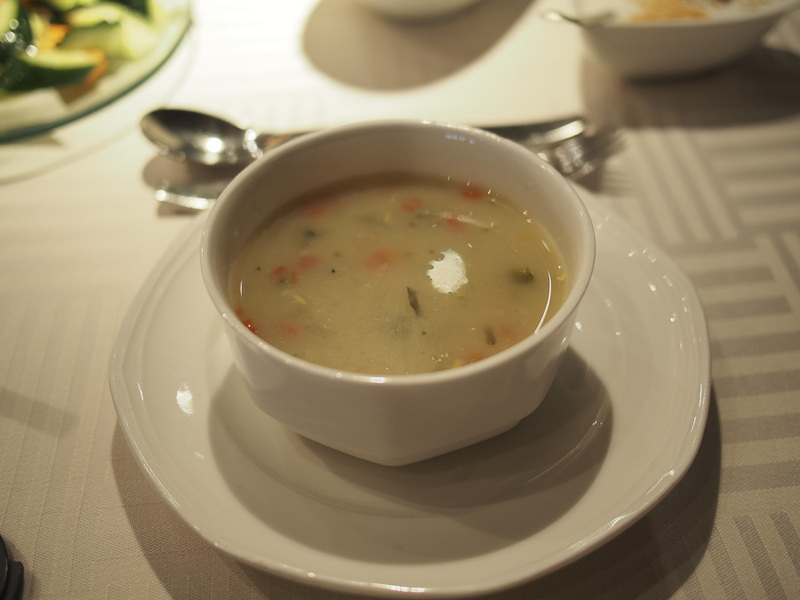 And rather ample bowls of soup at that. There was no way we could eat 3 huge bowls of soup between the two of us (we probably could have split one! ), but thankfully all of them were excellent and the shop had no problem boxing up our leftovers to take home so we could enjoy them for lunch the next day. Just goes to show that even when a menu has English on it, you may still wind up with some surprises. Another example of this is when we trekked out to a restaurant known for its elegant Chinese cuisine. Pristine white table clothes cloaked the tables and the waitstaff opened the doors for us when they saw us approaching and even pulled out our chairs for us. This was by far the best service we had received anywhere in China! So we were puzzled as to why, after having plowed through the 100+ page menu that was thrust in front of us, why our waiter refused to let us order certain dishes. 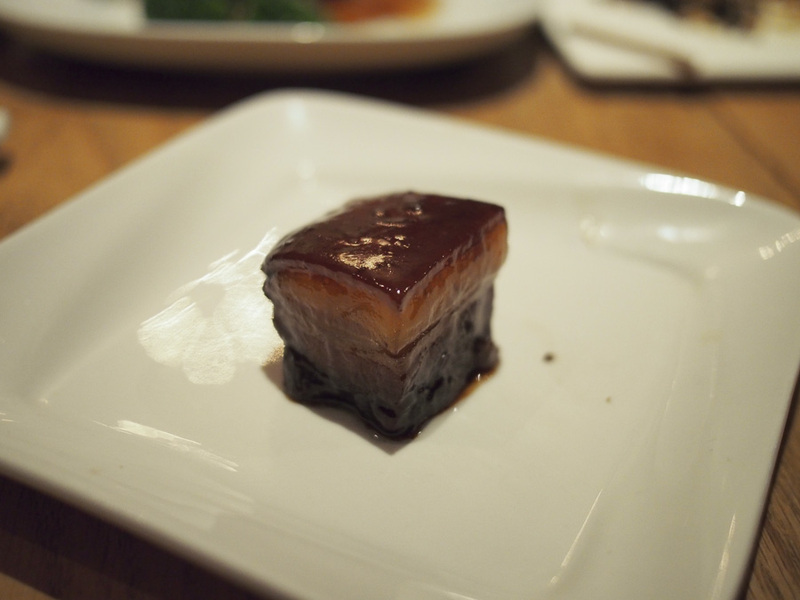 The vegetable dish featuring tea tree mushrooms was a go, as was house specialty, preserved veggies wrapped in a crispy tofu skin. But for some reason, he refused to write down the cumin-scented chicken! 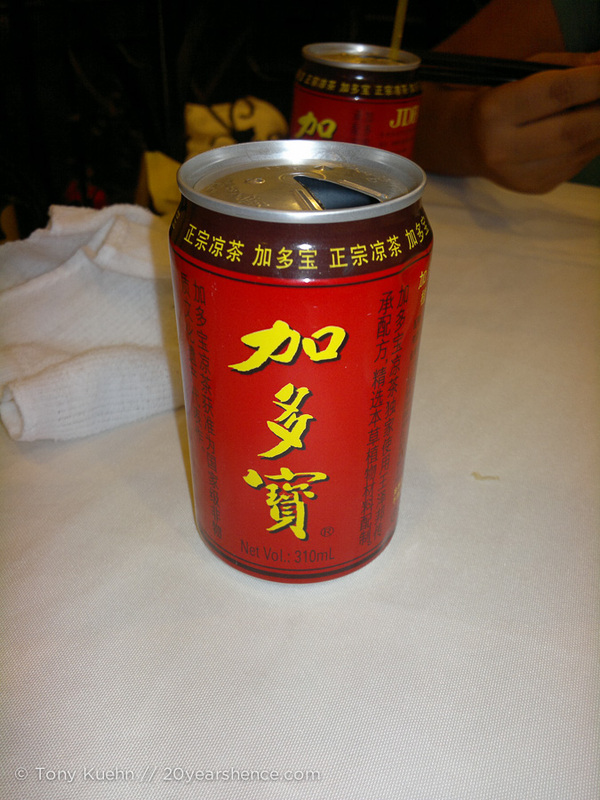 We had heard that this Hunan dish can sometimes be quite spicy, and wondered if that was the reason he seemed so resistant to allow us to order it. In the end, he found another waitress, who when we pointed to what we wanted, simply nodded and took our order. 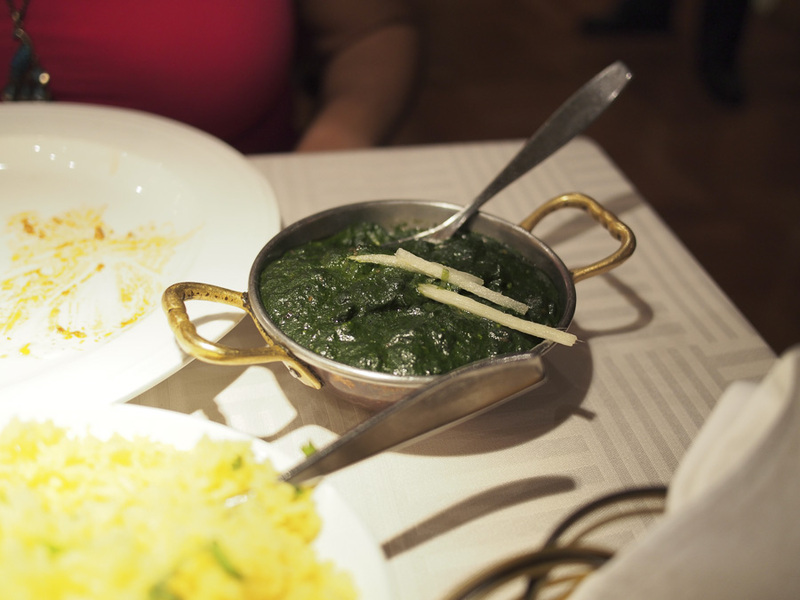 When our dishes arrived, we were blown away by how fresh everything looked and smelled. We dug in immediately, and were precipitously close to having a “When Harry Met Sally” moment following our first bites of the two vegetable dishes. Our reaction to the chicken, however, was a bit more… pensive. 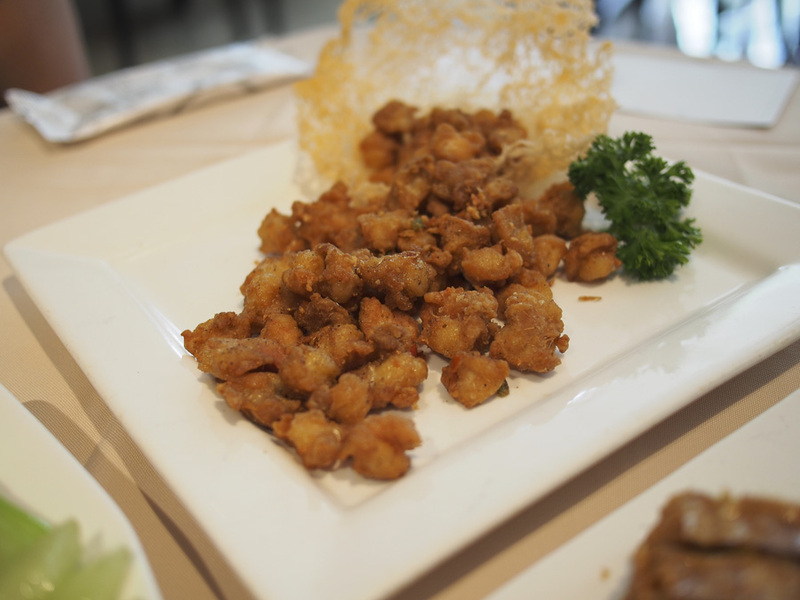 On first glance, it only resembled the dish we had seen in the menu in passing, as that had displayed large morsels of crispy chicken; these were much, much smaller, far more similar to popcorn chicken. This wasn’t the first time that pictures had been misleading in China, however, so we each popped a piece into our mouths. On my first bite, my eyes lit up as the breading was perfectly light and crispy, and the infusion of cumin was beautiful and not too overwhelming. However, Tony looked more disconcerted. “Man, that piece of chicken was essentially all gristle,” he grimaced. We each tried another piece, and this time, the pop of teeth on cartilage was undeniable as the pieces of “chicken” rolled around in our mouths. Frantically, I tried a few more pieces, before we had to concede defeat: rather than juicy pieces of chicken, we had ordered up a plate full of nothing but fancy fried chicken knees! They were prepared about as well as this offcut to end all offcuts can be treated, but in the end, the texture was too creepy for Tony and he left the plate to me to finish (which I stubbornly did!). And that just goes to show that even with English AND a picture, restaurants in China always find a way to surprise you! Tell us: have you ever visited Shanghai? If so, what was the best thing you ate there? If not, what’s the weirdest thing you’ve ordered at a restaurant? Do you fancy tucking into a plate of deep-fried chicken knees? Um, that noodle dish (w the sesame paste) looks so luscious I couldn’t really pay attention to the rest of the food. Except to say that poached chicken sounds truly revolting (I am not a poultry person, though, even if I wasn’t a vegetarian)! As a vegetarian, I don’t think most of the other dishes would interest you much either way… certainly not the poached chicken! It’s dreadful to veggies and omnivores alike! Shanghai was at the end of our trip and we’d recently recovered from something bad that we ate somewhere resulting in over 24 hours of vomiting each, so by the time we got to Shanghai, we were also ready to eat some non-Chinese food, pretty much the only time we did that in China. 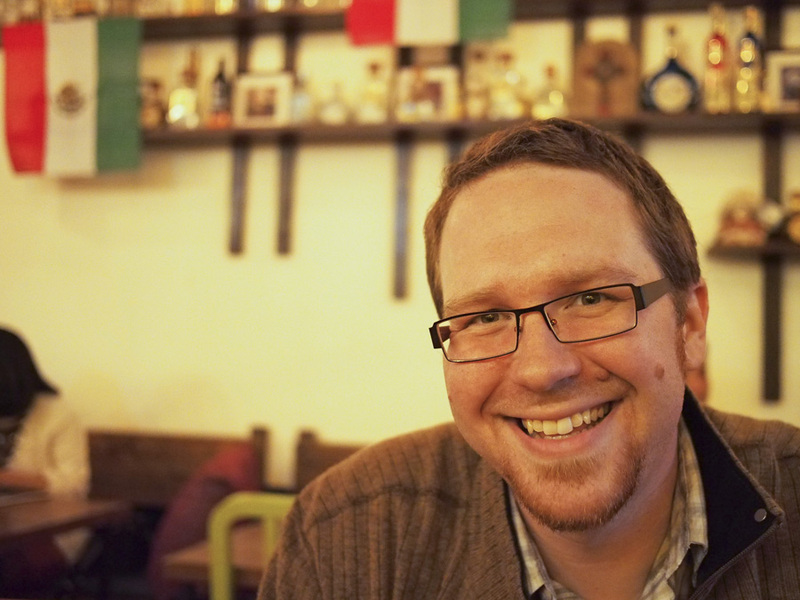 A friend treated us to an amazing Spanish tapas dinner at a restaurant on the Bund with a great view of Pudong (they’d reserved the table more than a month earlier), and we went out for pizza one night with them at one of the restaurants in our hotel. 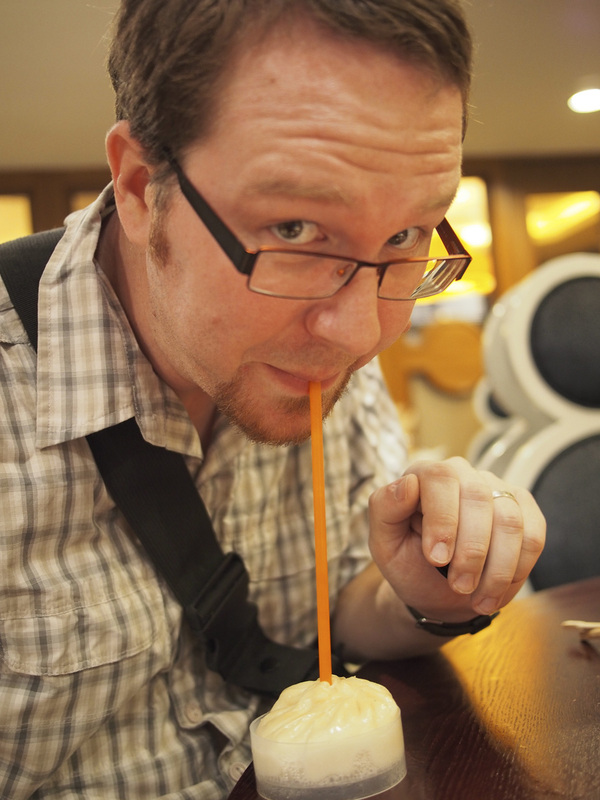 I don’t eat meat but my husband had the “gristle” experience all over China. He’d be excited to order something like rabbit or chicken, and it would be tiny gristly pieces amongst a mass of peppers. And just like you, that was frequently despite an English and/or photo menu selection of something that sounded like normal rabbit or chicken or whatever. Shame that the dumplings weren’t that great, between me and Dale we absolutely adore dumplings in any kind of shape and with any type of filling. We did have some very good ones and also not so great too. 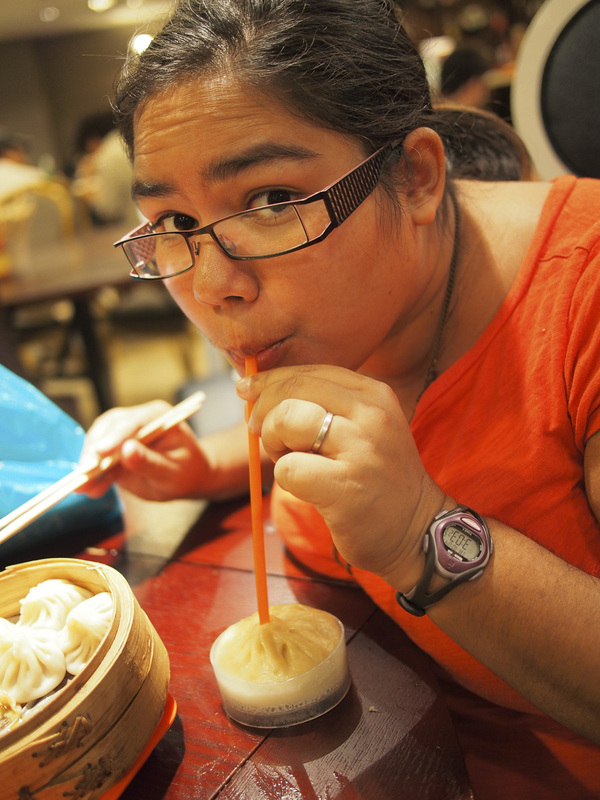 Oh yeah, dumplings are at the top of our love list, so it was a shame we encountered some real duds while in China. That said, we had some excellent ones too, so I’m glad we never gave up on them (how could we?!?). Humm. Got to love me some chicken knees. I wonder if they provide replacement metal knees when they remove them, you know, for the good health of the chicken. Failing a dish of those, I’d have been more than happy with the creamy sesame sauce – sesame is delicious. Sesame is indeed amazing… though sometime tastes an awful lot like peanut butter, no? I’ve tasted that similarity, but it’s just unique enough to warrant being awarded an awesome tag of it’s own. This food looks great, I really love Chinese food (meaning the kind you can get in a take away or in a supermarket here in the UK) but one thing that would worry me is not knowing exactly what I’m getting. We would have to really research some of the food options before we dare to venture into China. 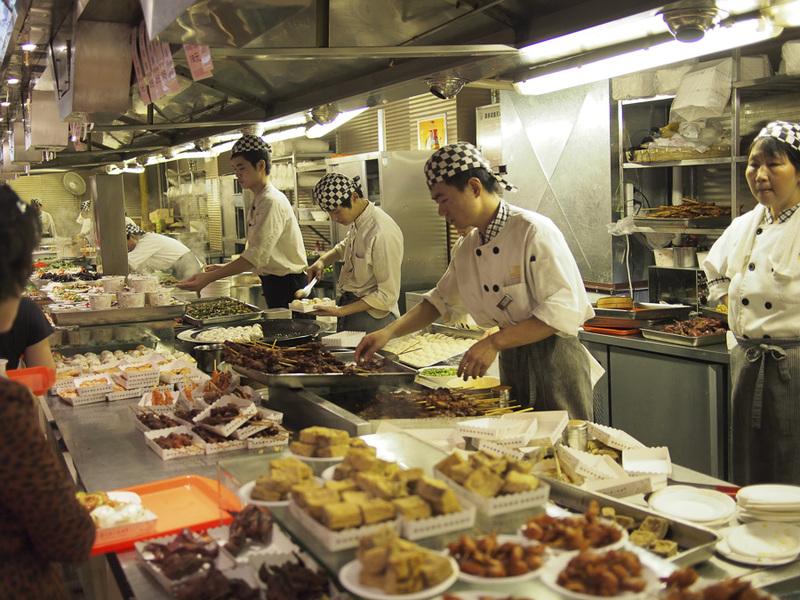 Only about 10% of the food in China resembles anything like the Chinese food you are used to back home. 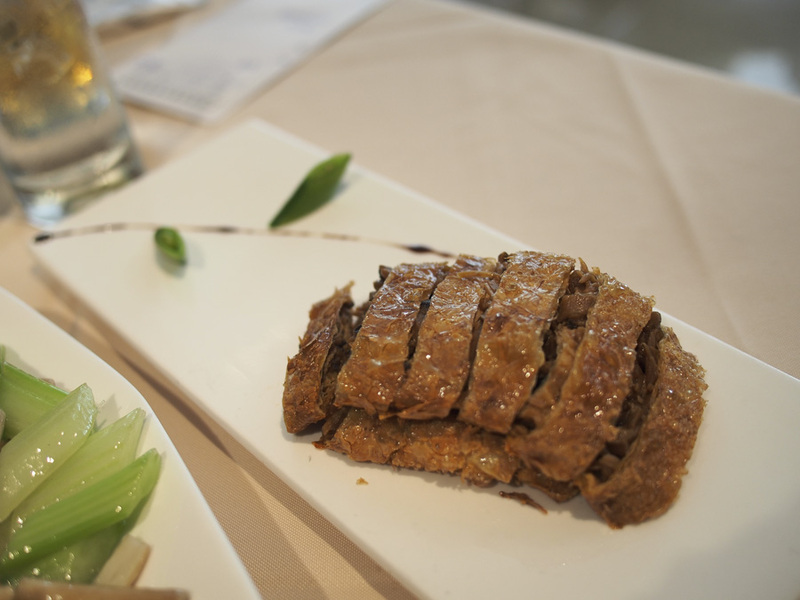 We found that we much preferred the food in Hong Kong, to be honest, so perhaps Cantonese food is more our thing. 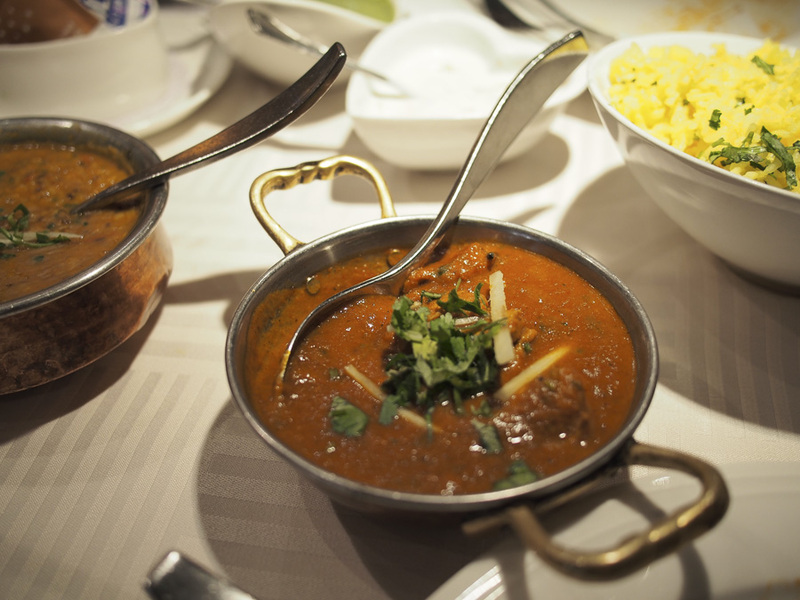 Once you head to Asia, you’ll have to embrace the adventurous side to eating! Sometimes all you can do is pick something at random and hope for the best! Stephanie: those food look soooooo yummy! I have to go cook something now… oh, the soup noodle one… it’s heavenly! 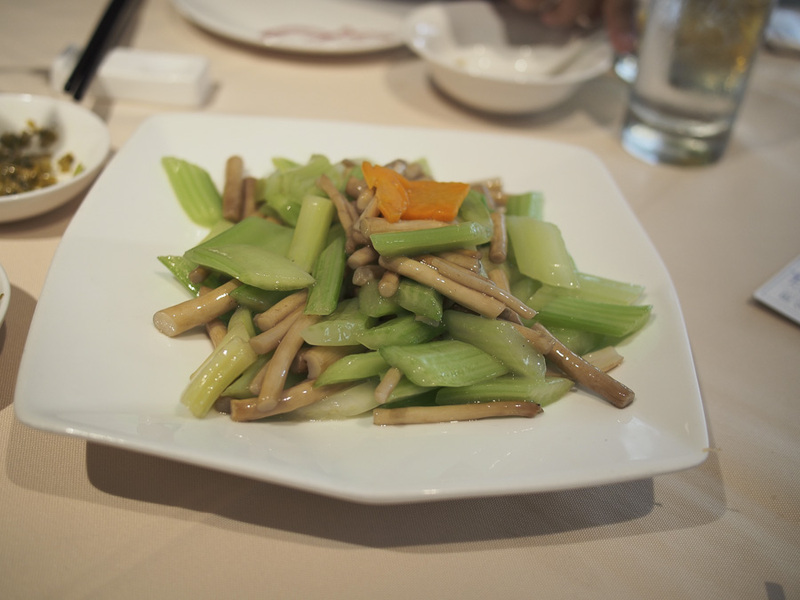 When I visited my friend (who is Chinese) in Boston, she took me to an authentic Chinese restaurant and I learned of that dish. I’m glad you got to try it in Shanghai! Yeah, after I perused that SmartShanghai guide for a while, I knew that those noodles were exactly the kind of cheap eats we would love. I’d never heard of them prior to our visit and am actually quite surprised they haven’t made it out of Shanghai! all of this food looks amazing. 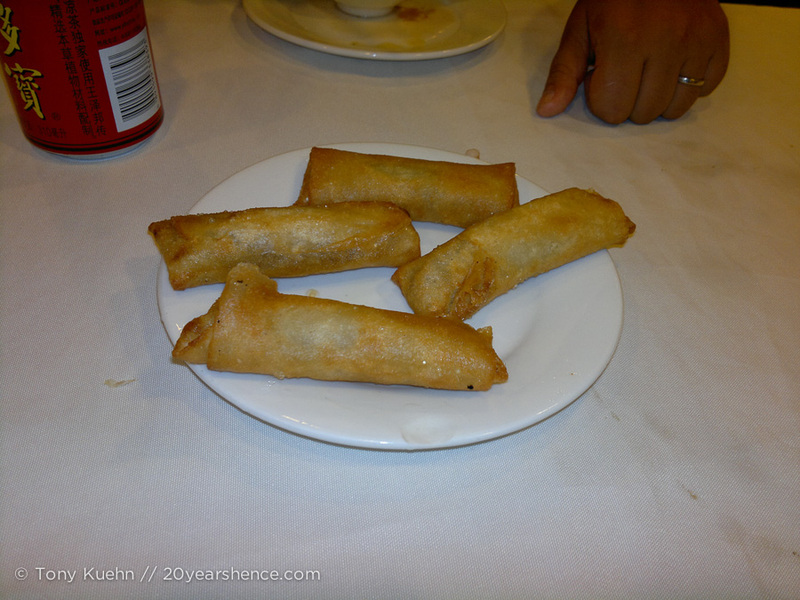 especially the spring rolls.. i love those little things! 🙂 I’ve never visited Shanghai before, but would love to! Isn’t it funny the food your find yourself cooking while traveling? We’ve been cooking up some “interesting” meals here in Australia just trying to save money and make-do. I cannot wait to get home and get to cooking my favorite recipes again. I was a little worried that your chicken knees/elbows would turn out to be, um… chicken sphincters! Sooooo glad that wasn’t the case! We ate some chicken “butts” in Japan, but thankfully those were the exterior portion, and not the sphincter segment! I love Shanghai and China but the food usually doesn’t agree with my stomach. 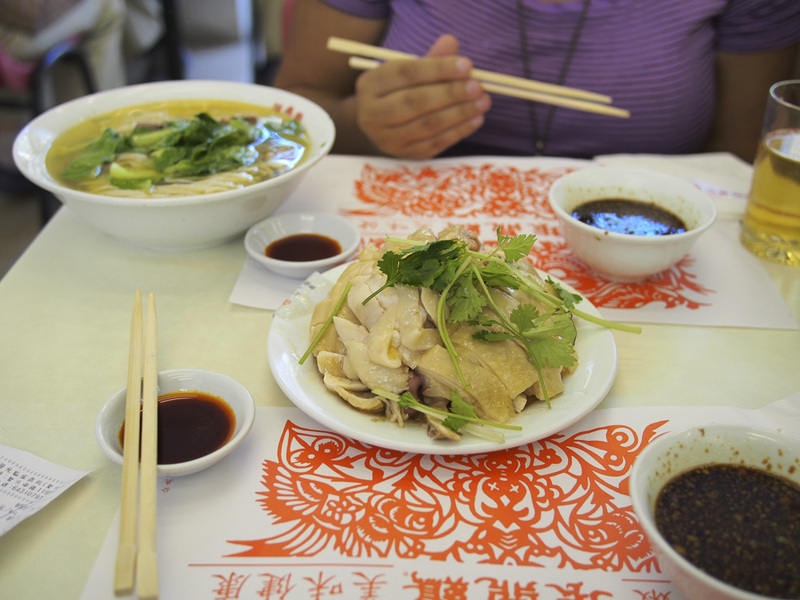 It’s VERY hard for us to love a place if we can’t also get behind the food… like China in general, we found the food there a mixed bag!